Joined by his daughter from the future, Flash aka Barry Allen embarks on a jam-packed adventure in the CW show's season 5 episode 1, aptly titled 'Nora'. Yep, that's right. The premiere episode of 'The Flash' season 5 begins with an appearance by Barry Allen's adult daughter, Nora West-Allen, from the future. If this piece of information shocks you, we suggest you first get updated with our 'The Flash' season 5 spoiler stories and then continue with the review of the explosive episode 1, aptly titled 'Nora'. Joined by his daughter from the future, Flash aka Barry Allen embarks on a jam-packed adventure for the CW show's premiere. During these 40-minutes, not only do fans get a glimpse of the West-Allen family dynamics (and a little bit of their future as parents), but also the "Crisis on Infinite Earths" arc from the year 2024 is explored finally, in great details. Our worst fears come true when Nora pulls out a newspaper headline from the future revealing that Flash indeed perishes during the 2024 crisis while fighting the ageless Anti-Monitor. The red-clad speedster vanishes into thin air, and to most fans disappointment, it is revealed that Flash actually never comes back and is declared missing some 25 years down the line. In a pivotal moment, this revelation is made as Nora, upon her father's insistence, pulls out a tragic news piece from 2049 - "25 years later - Flash still missing," the headline reads. Sadly enough, the scene transpires right after an emotional moment, as the father-daughter duo try to get to know each other better. CW's 'The Flash' has never been an emotional melodrama, and yet during these scarce moments, when the superhero series touches upon the very raw, human emotions that it uplifts the narrative from the run-of-the-mill to a very real and believable one. Flash's doomed fate is like a dagger, looming ahead even when characters like Nora, Barry, Iris or even Ralph and Cisco are sharing a light-hearted moment. While time-traveling has enabled these speedsters to break through the speedforce and gain knowledge about the future, sometimes the concoction of feelings and drama could get a little over-the-top for an entertaining show like, 'The Flash'. Thanks to showrunner Todd Helbing, though, who is at the helm of the new season completely following the firing of Andrew Kreisberg, 'The Flash' gets the balance right. Chuckles are back and so are snappy dialogues and witty banter. The scene where Nora and Cisco actually connect over their love for the Flash museum - despite the two being from totally different timelines - or that time when Cisco realized that it was he who came up with the moniker "Gridlock", are the minute details that keep fans hooked and also on their toes. In season 5 of this superhero series, there seems to be no shortage of such moments. While Cisco and Nora have clearly taken up the duties of keeping the laughs coming - Cisco with his nonchalant wit and Nora with her ever-enthusiastic and chirpy demeanor - the responsibility of driving the plot with action and suspense seems to have fallen on Barry and his speedster daughter. In the midst of this West-Allen family fiasco, however, quietly, 'The Flash' writers were also able to slide in some Caitlin Snow time. Caitlin's struggles in the past season are no secret to fans. First, she was attacked and almost killed by the magical villain, Abra Kadabra. Next, her power-blocking necklace was ripped off unleashing the Killer Frost and now once again she is stuck at a point, where she can't actually be free from her alter ego. In bits and pieces, though, throughout the premiere episode, it was revealed how Caitlin still possesses some memories of using her freezing abilities as a child. This can only mean one thing - the ice queen wasn't set off by the particle accelerator explosion. A character hitherto less explored, moving ahead, could thus be dealt with in detail in the ongoing season of the CW show. As the icy Killer Frost, Caitlin has proven to be promising in the past and we can only hope that 'The Flash' showrunners also see it this way and do not close the door shut on Danielle Panabaker flawless alter ego. 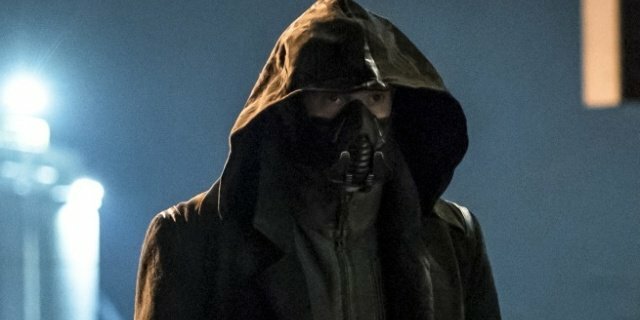 Speaking of flawlessness and alter egos, 'The Flash' season 5 also gave us two worthy supervillains (well, one and a half). What began as a chase for William Lang aka Gridlock, the carjacker with abilities to manipulate kinetic energy, ultimately led us to the season's highlight and the real adversary, Cicada (alias: David Hersch). Of course, the name-dropping didn't happen during the Tuesday night's episode but fans have known about his arrival for quite some time now. Unlike other meta-human foes, Cicada's techniques are visibly different. He uses a lightning bolt, staying true to his comic book history. As per the DC lore, Cicada used to be a metahuman until he was struck by lightning (believed to be the same one that gave Flash his powers) and his life took over a new course. In the aftermath of this lightning incident (which could be the same particle accelerator explosion), Cicada emerged as a meta criminal who could absorb the life force of others and extend his lifespan to almost a century. If this is the angle 'The Flash' is going ahead with, then there are a number of possible storylines, crisis, and struggles that can be addressed in season 5. In one way or another, Cicada has definitely opened up the possibilities for Flash. Our favorite speedster can fight small-time crooks and criminals, staying engaged at the same time with the bigger adversary at hand - the "blue collar everyman" obsessed with taking down metahumans. But let's not get ahead of ourselves. At the moment, 'The Flash' has given us enough in terms of plot suspense and tension with the first episode itself. In the final moments, when Barry, Wally, and Nora join hands to save hundreds aboard a crashing airplane, it would be a lie if I say that I didn't skip a beat. The scene was a beautiful nod to Flash fans, with the trio landing the plane in a truly Captain Sully style, leaving us wanting to see more of the speedsters in the upcoming weeks.